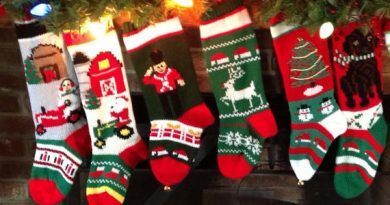 Sure, the traditional colors of Christmas are red and green. 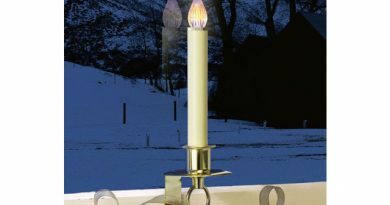 But lately many people are turning to the entire spectrum of colors for a more vibrant and spectacular look when decorating their Christmas tree, the main centerpiece of your home and “king” of all indoor decorations during the holiday season. 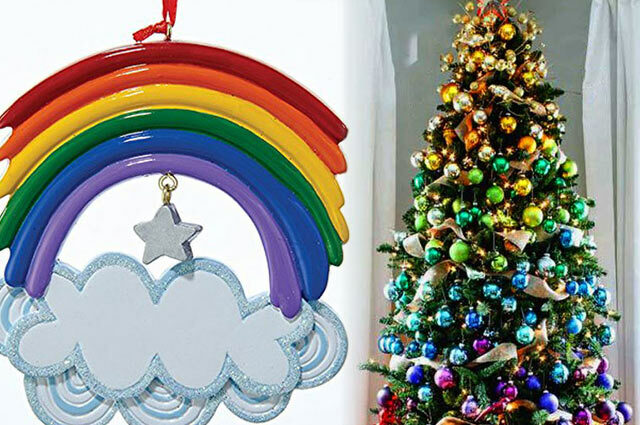 Rainbows match the spirit of the Christmas season: They symbolize wonder, magic, hope, promise, and good fortune. As such, they make the perfect ornament for Christmas trees. 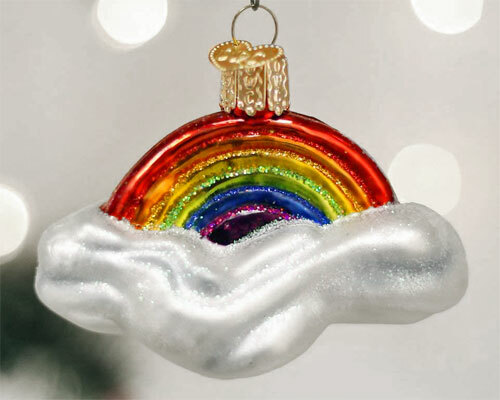 I particularly like the Old World look, feel, and charm of this hand-painted glass-blown rainbow ornament with its glitter sparkles that catch and reflect the many lights on the tree. With the rainbow arching over a puffy cloud, it’s beautiful enough too that it makes a great gift. 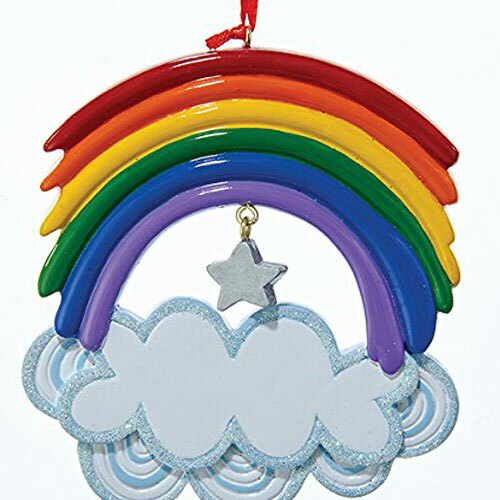 If you want one that’s a bit more “rugged”, heavier, brighter in color, this Kurt Adler Christmas rainbow ornament will fit the bill. Made of ceramic (so careful – if you drop it, it might break! ), you can easily write on it with a Sharpie marker to personalize it with a name if you’d like. It also features an adorable star hanging between the color bands of the rainbow at the top and blankets of clouds at the bottom. 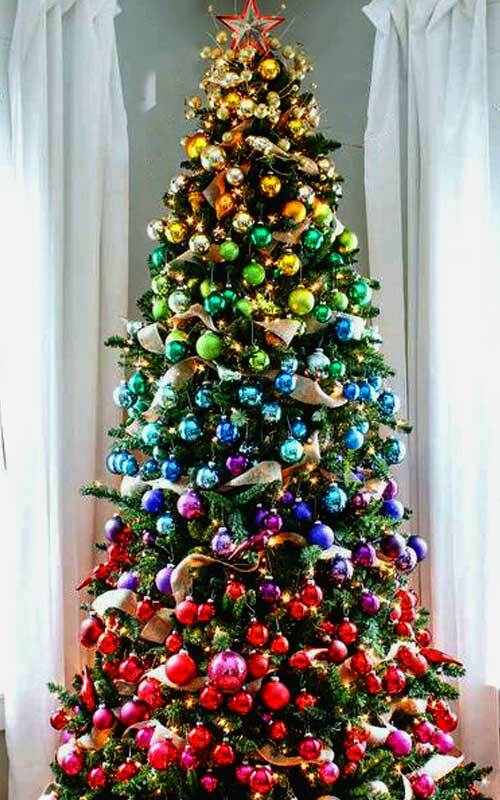 For a more dramatic, more eye-popping colorful look and feel to your Christmas tree, instead of just hanging a rainbow ornament or two, deck out your entire tree in bands of color! Get a set of each color, then decorate your tree grouping them from top to bottom by color. For example, suppose you get six sets, each a different color. Visually divide your tree into six horizontal sections. Start with all blue for the top section of the tree. 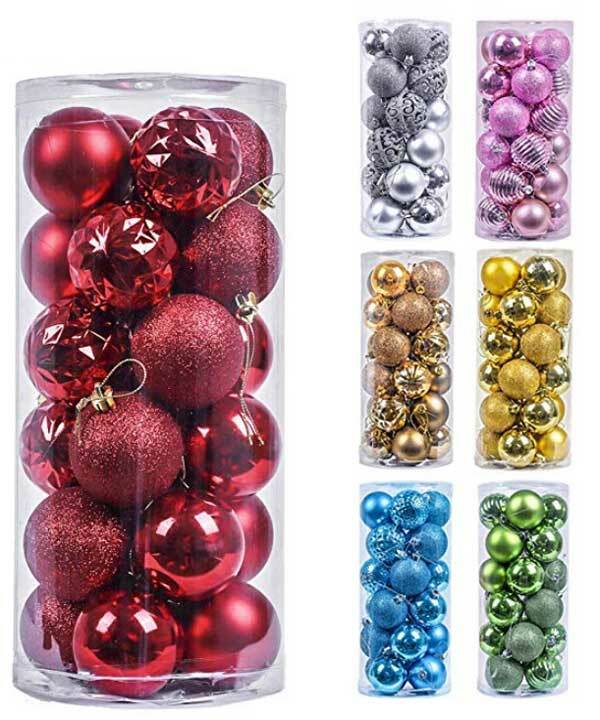 For the next section down, hang all the silver balls in a horizontal band or “layer.” Choose another color, perhaps pink, for the next section. And so on down to the bottom of the tree. 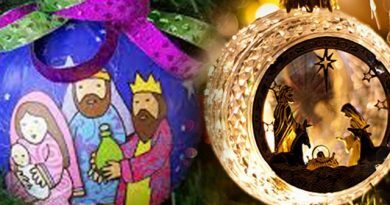 These ball ornaments come in many different colors, including gold, silver white, red, blue, pink, brown, green and more. And what’s nice too about this set of Christmas tree ball ornaments is that they are uniquely designed in four different finishes: Smooth shiny, matte, glitter and shiny swirl, giving your tree a much more visually interesting appearance. And while they appear to be traditional glass, many sets are made of plastic, so they’re shatterproof safer. And look for sets that come with hangers for extra convenience – it’s so nice not having to go hunting around for some! Wonderful, isn’t it? So bright, so festive! No matter how you end up decorating your tree, no tree is truly completely decorated without it’s top. If you like staying in classic tradition, then some sort of star must be atop your tree!